A fully customized, beautiful and classic garden shed from Classic Garden Structures adds elegant structure and style to your gorgeous backyard or garden. Even better, beauty matches the utility and convenience in every structure we build. There are many practical uses for a Classic Garden Structures shed. Our website shows you some, but your imagination is the key. Just think of all the ways that a sturdy, long-lasting, low-maintenance garden shed can enhance your lifestyle and add value to your property! Our Elite garden shed is a great option for those looking for a shed with versatility in use. It is also our largest shed, and can include a second story. A beautiful, fully-customized Manor shed from Classic Garden Structures is an attention-grabbing garden shed that does more than just de-clutter your property. The Classic garden shed from Classic Garden Structures makes a great potting shed, storage building and more. It is an easy way to add needed storage to any yard. 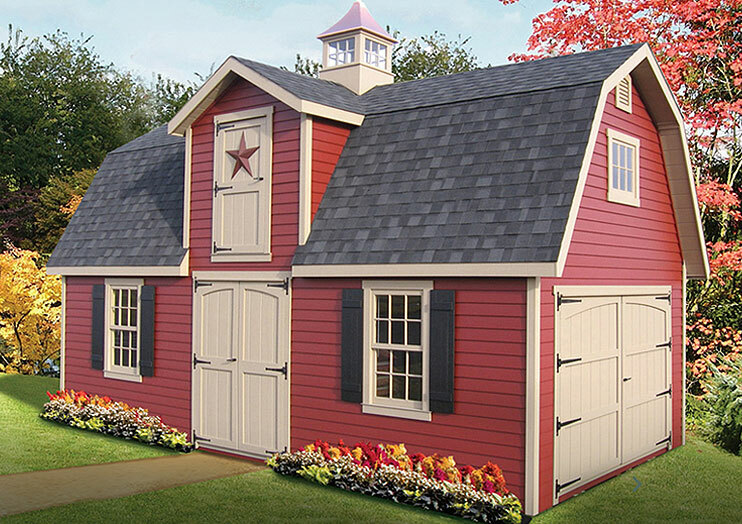 At Classic Garden Structures, our highly customized Patriot garden shed is for those who prefer that their outbuildings be built the way they have been for centuries. Add luxury and privacy to your backyard setting with a customized Pool House from Classic Garden Structures. Thanks to almost limitless customization, it will match your style. We may have an almost unlimited combination of garden shed options, but we strive to provide each of our customers with their own unique shed that matches their own unique style.